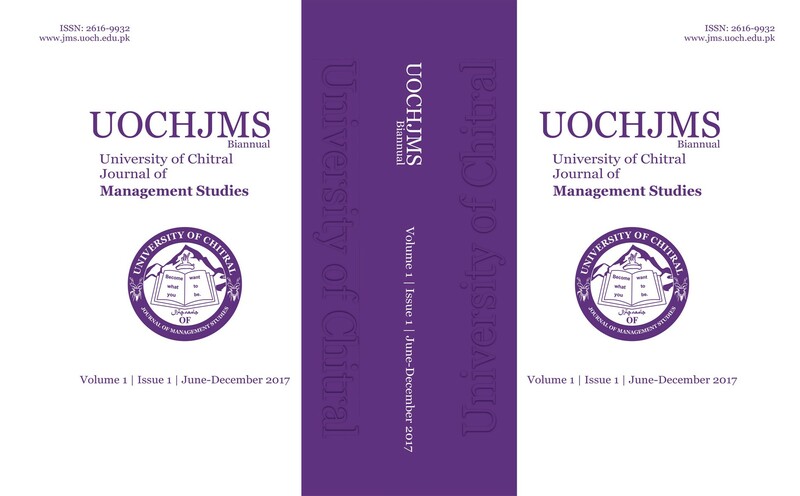 University of Chitral Journal of Management Studies (UOCHJMS) is a biannual research journal of Department of Management Sciences, University of Chitral, Pakistan. The purpose of the UOCHJMS is to encourage, advance and support research in management and related fields. It is a truly global forum to share up to date knowledge, research and experiences among ever expanding scholars, practitioners, researchers, corporations, policy makers and students. UOCHJMS would be a platform of scholarly communication, record scientific research and a global expertise in research, theory and practices.